I had a little time to play some more, so here is the latest and more definitive piston, with oil control ring seep holes, cross drillings, and wire clip fitting details added. 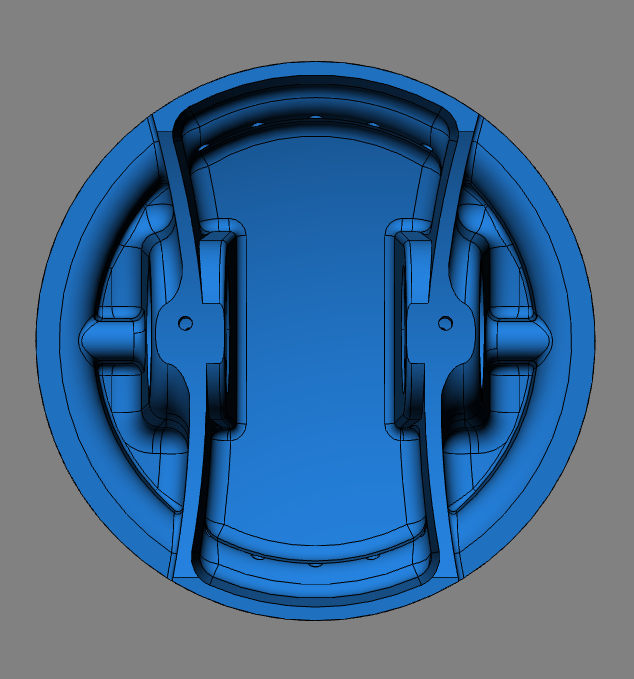 Piston skirt and crown thickness is still quite thick in places, but could be pulled down some more I think. 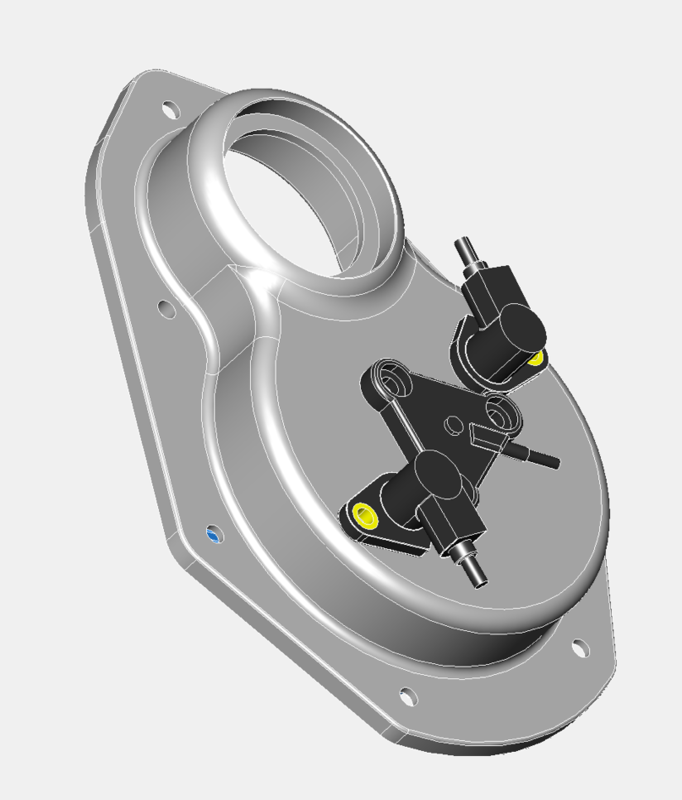 CAD model has been totally redrawn and updated from yesterday’s attempt, and this is now a very close approximation of the direction I will be taking, with a calculated bare weight of 520 Gr. 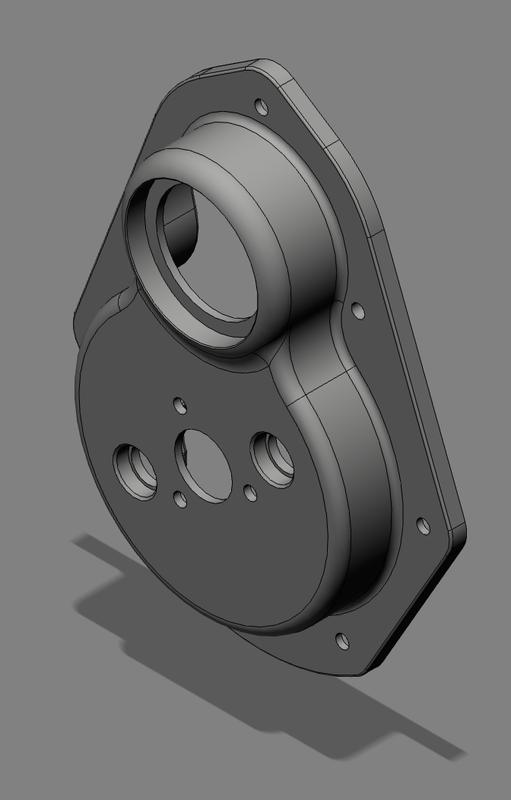 This is a reduction of 60 grams on the first CAD version, and well within target to beat the all up weight of the original 85mm Panhard piston, which was 636 Gr in standard trim (Tigre engines sometimes had lighter pistons). 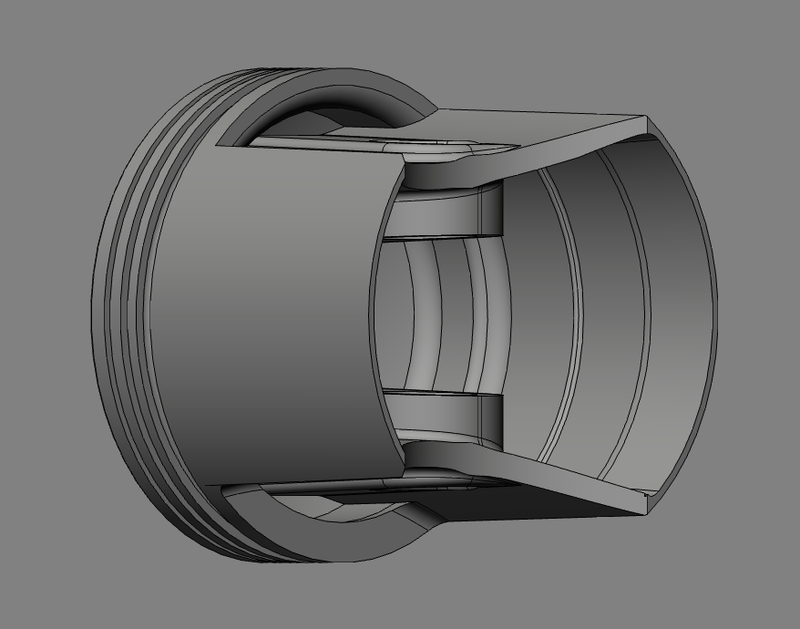 I am tinkering with making a CAD model of the new 100mm piston, and at the same time making a forging compliant interior for the plug that will have to be specially commissioned. 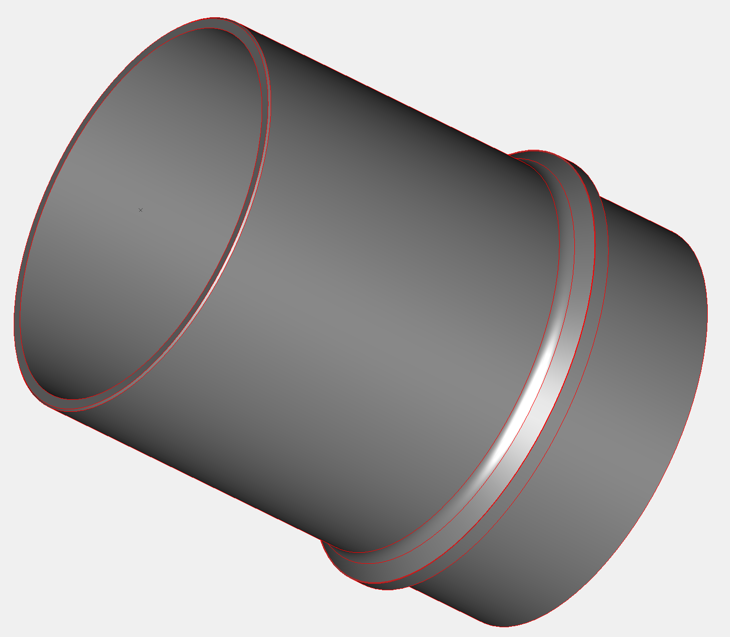 The CNC tooling is struggling to reach the inside of the solid billet piston, because Panhard pistons are so deep. 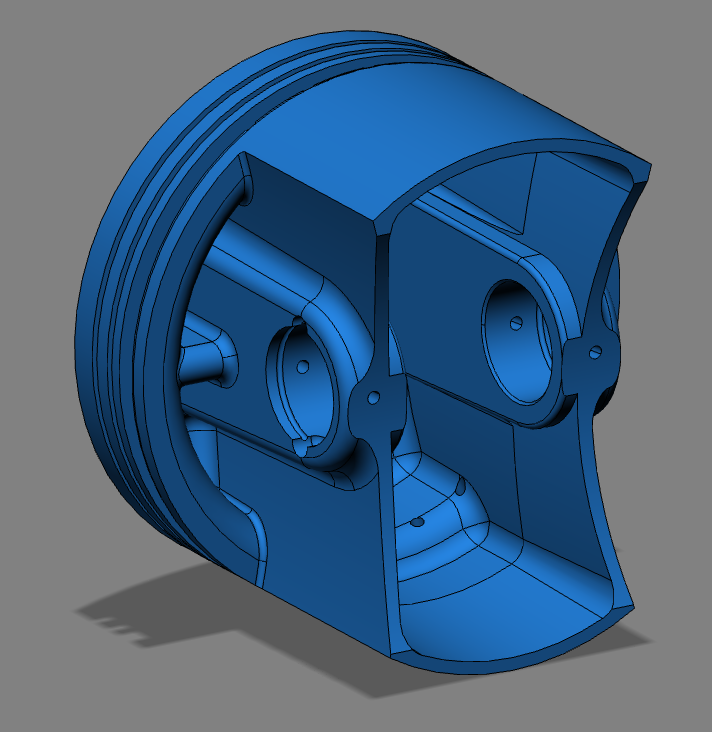 After looking at the cost and weight constraints imposed by this approach, it is almost as economic to create a forging tool and a minimum run of pistons. Realistically these pistons will be double the price of the initial batch I had made for Brian’s engine, but the important difference is, unlike other big bore solutions, no cylinder head separation or liner sinking operations will be required, so no pushrod, pushrod tubes or cowling mods will have to be made either. 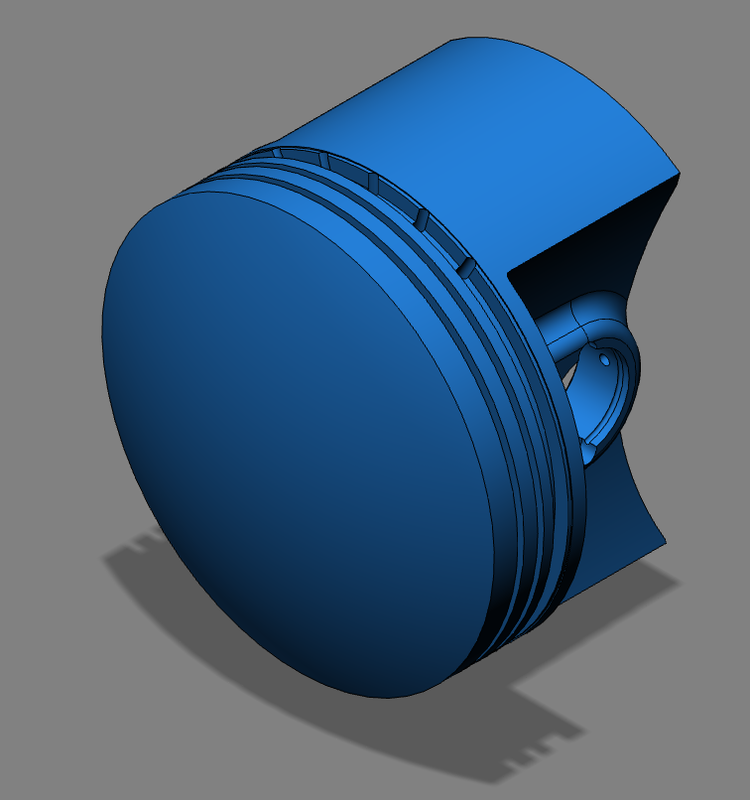 So although the new piston costs more, the amount of other work is considerably less, so it will bring other savings. 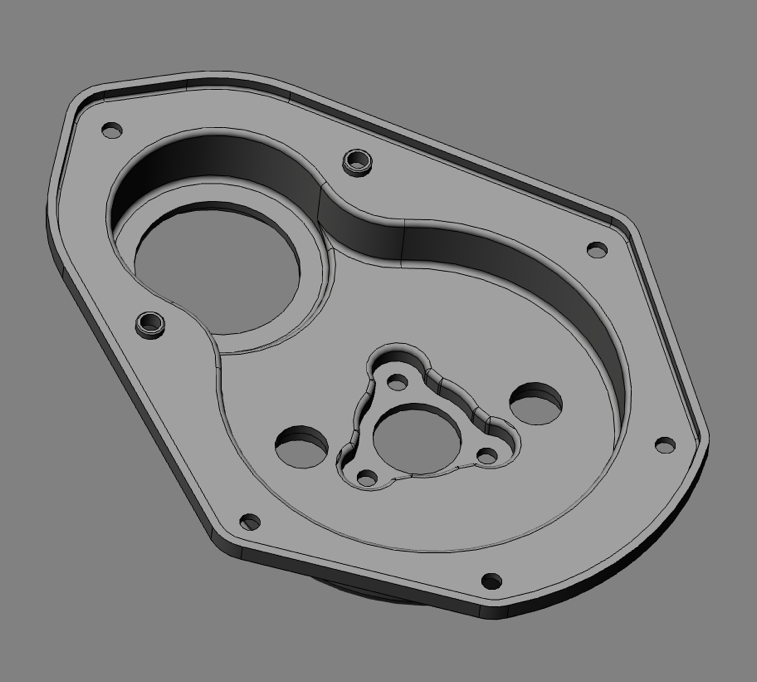 The liners will be brand new and bespoke, so all that is required is a remachined original cylinder and crankcase, which you have to do anyway. 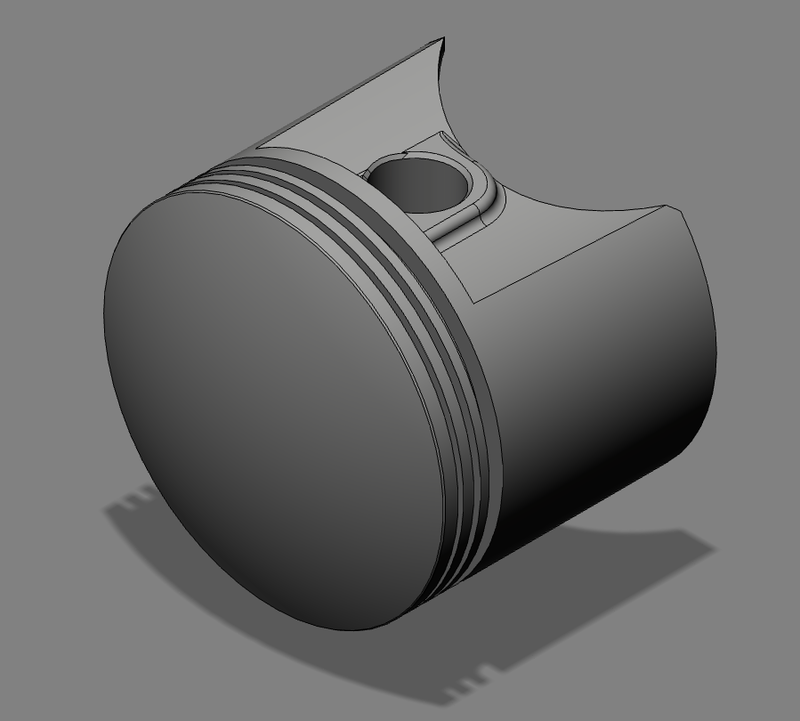 Please note, unlike Brians piston, the new piston will also feature an offset pin to reduce the crank pin loads, and the skirt designed to accommodate this too. 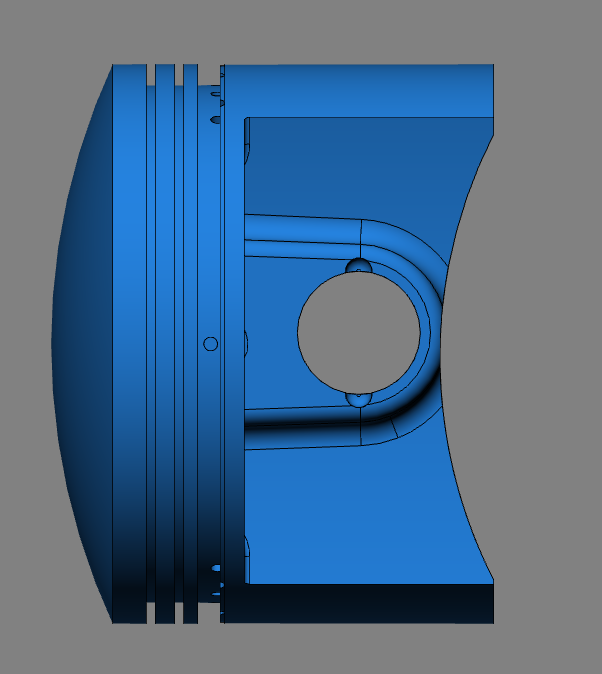 Offset pin forgings are not available at this depth, so that’s another reason for creating a new forging tool. Back to the piston sketches, first thoughts, a few errors in the drawing, but enough for a ball park doodle. 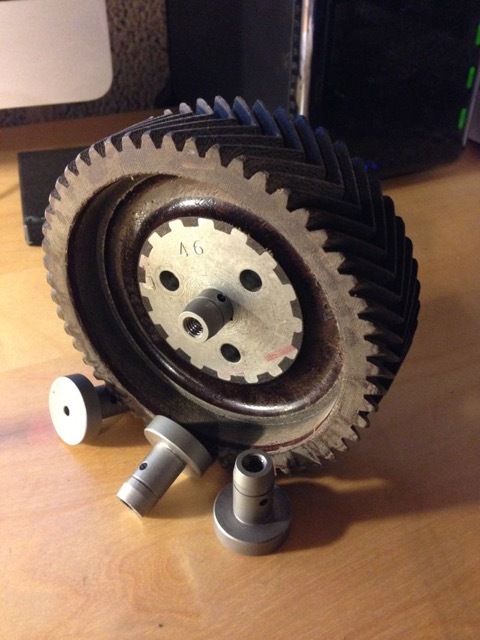 This still represents unfinished business yet, but the 580 Gr calculated piston weight is still less than the 94mm BMW R100 piston already, and there is more to come off, when I re-profile some elements later. 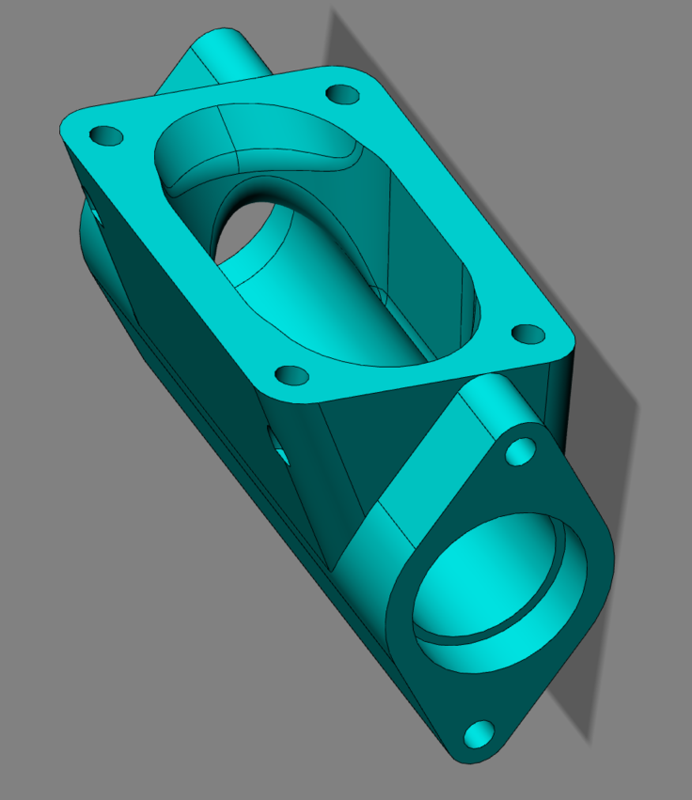 Over the next few weeks, I am going to produce a few variants in CAD, then see which has the most production viability. If you are interested in these pistons, I suggest you contact me, otherwise you will miss out. Since the last update the 2012 engine developments have been updated yet again, and this time to use another sensor altogether. This crankshaft sensor gives fantastic trigger performance at low speeds from 7 t/min upwards. It is extremely tolerant of air gap, so it’s a no brainer to not include it in the ignition developments for the big bore engine. Latest version for twin spark set up using the Imfsoft IgnitionTCI 6.1 pictured below. 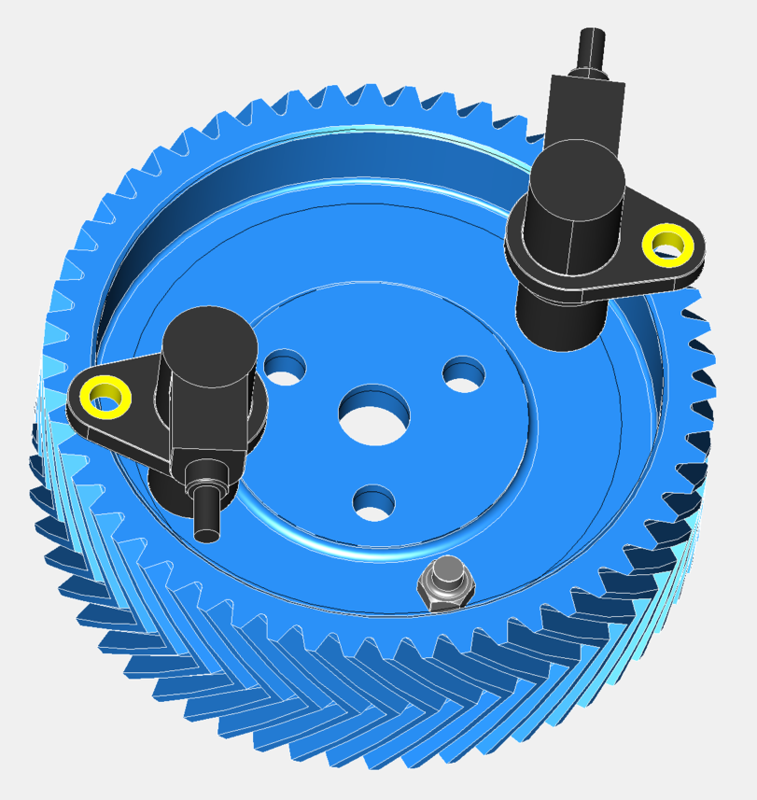 This is the proposed external sensor appearance, without the front pulley seal being fitted. The ferrous trigger is simple enough too, as it’ll be a self coloured M6 stud (at the moment) , turned from hex bar, and threaded into the aluminium timing gear with a dab of Loctite. Bench testing has been carried out using a wasted spark system, but I am still awaiting the Bosch Kompakt connectors for the twin single fire coils.